Wow, your BFF getting married, that’s really a great news, you need to pull your socks now for your BFFs big day!! Surely, you are super excited as this is the moment you were looking forward for a long time. That’s really going to be a super fun for all of you and you being bride’s best friend you have to be a bridesmaid too. Well, if it’s a wedding girls have plenty of reason to get excited for that and if it’s a best friend’s wedding than the scenario is at different level. Fun, dance, music, enjoyment, shopping and what not, there is a lot to do. It’s not just about bride now, her friends also find the occasion important in their lives too. The moment bride to be start spreading news of her wedding, all her friends get excited as they all know how’s it going to be the part of her friend’s big day! In India either bride’s sister/cousin/friend is a bridesmaid, while abroad it is a matter of great honor to be asked to be someone’s bridesmaid. 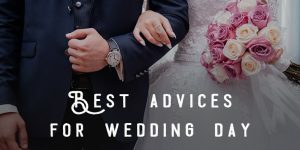 More often than not, it is by default that you don’t even need to tell your sister/cousin/friend that she has certain things or duties to do on or before your wedding. They take their roles perfectly, making sure that you have whatever you need, and they take care of all your large and small things on your D-Day, to make you feel special on your big day! Pull up your socks, it’s your BFF’s wedding and you are an imperative part of it, and I am sure you know what all are your duties in your friend’s wedding to help her make the best and memorable one for her and her partner. You know much more about your friend and hence you have been chosen as bridesmaid for her big day, now it’s time for you to give the best in her wedding. Off course, bridesmaids are always well aware of their duties but here is a checklist to be a Perfect Bridesmaid – for your BFF wedding. First thing first, while you are going to be your BFF’s bridesmaid you need to know that as a bridesmaid your duties/responsibilities are not limited to the wedding day only, but your duties start way before the wedding… right from the time your BFF got engaged. And why not? You’re the first one perhaps who got the news or maybe you’re the one who has witnessed the love story so closely! Since you know your role in your friend’s wedding is as important as her close family member. Now is not the time when everything was done by the elders of the family, in fact it is the time when kids do equally participate from soup to nut in the wedding. As you know wedding is not a day or two day event, it’s planning start way before and there is always a lot to do. As a bridesmaid, assist the bride, be by her side while she is shopping for her big day. She needs your support and guidance in making her decision whether she is shopping for her bridal outfit or for lingerie’s for herself. Always remember that the bride trust you more than a designer, she knows that you know her completely what suits her, which color looks good on her. She believes that, you will be the first person to give her the best advice on anything and everything. Be available for her, be on her side while she is making great decisions of her wedding. 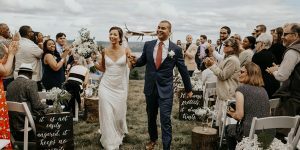 Basically you are bride’s most trusted assistance, help her search and finalize her make-up artist, hairstylist, and photographer, help her in finalizing the decor of the venue. All your bride needs from you is your help on her wedding because by and large, she knows you are the one who can do it perfectly. 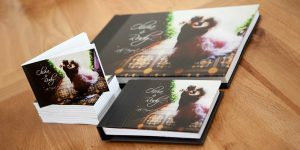 As you are the close friend of the bride and you probably know all the other friends too, you can help bride’s family by taking their some load off their shoulder and distributing the wedding invites (online or offline) to other friend by yourself as a bridesmaid. It will be exciting overall. Running a bridesmaid social media campaign on your BFFs wedding will also help save their dates for the big day. Uploading her pictures while shopping, doing things in her wedding planning journey. Also, running a bridesmaid campaign wherein all her friends uploading their pictures to getting ready to be the part of their best friend’s big day. 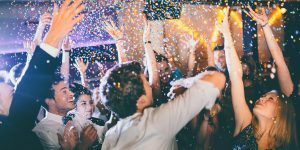 Yeah, this is going to be your friends or bride’s last party as bachelor, make sure that you take the responsibility to arrange or organize it for her. To make her feel special before her wedding is all you can do by doing several such things which will not only make her happy but also she will feel special and important. Your BFF must be wanting to give a cute and lovely surprise to her partner on the wedding day, you being a bridesmaid, try to know from her what exactly she is looking to make her groom feel special on the big day. Like if the bride is looking for some sort of surprise arrangement for her partner on the wedding day, maybe a large area with all their pictures hanging with balloons to let the groom recall each and every moment they spent together ever since they first met. There are myriads of options which you can arrange for both of them on their wedding day, which for sure you have to plan in advance. Help her plan the same and make all the arrangements for the same on her wedding. You might have to coordinate long distance with people, but make it happen- it’ll be totally worth it! No wedding these days just happen ordinarily as it did in old times. Now people want to have all the fun in their weddings. Make arrangements for all the fun element, you can try out some games for all the family members. Also, these days people like to present nice performances on sangeet or mehndi function, organize the list of people who want to perform and what all they want to perform maybe a dance or singing a song or something else maybe. Coordinate with all of them, know if they need something extra for that, help them in their performances. Have a list of all the sangeet songs and sequence along with who is performing on them, get them collected in one place in a sequential order. Coordinate with the DJ to play them in a said order. Do check all the songs a day before the performance that all are correctly arranged and there is no disruption in between. Also, do not miss to give your performance which you have prepared for your friend’s wedding. On the day of mehndi when everybody will have arrived, all the distant relatives and friends have arrived, family members will be busy looking after them now it is you who have to coordinate with the mehndiwala, already while booking him bride must have given the address and timing. Since you are the one point of contact, do coordinate with him, how he is coming if you need to send someone to pick him from some point, please see to that too. Do arrange for lemon and sugar in advance for the brides mehendi. As applying the combination of lemon and sugar makes the mehndi look darker and look amazing, combination of a slice of lemon and sugar on an Indian wedding function gives the whole wedding mehndi a unique and beautiful color. Now it’s the day which you all were waiting and have been preparing for since long. Ensure that while leaving for the salon with the bride you have checklist of all the items to carry over there to get her ready. Check-off your checklist twice before you leave, make sure that the car and the driver are already arranged for you both to go to the salon. Have the driver’s number with you. On the day of wedding there are several arrangements to be taken care. As you have been part of the wedding planning journey, you must have the contact details of the vendors, keep a track of all of them. See if the photographer is there or not, check with him if he is late. Make sure if the florist is decorating with the same flowers as your friend the bride asked her to do on the wedding day. Check if the mandap decoration is as said or the person is doing something else because in Indian weddings brides cannot see their mandap before. Assist her and help her sort things out. As you are taking care of all the bride’s needs and you are assisting her, make sure that your phone is fully charged as everyone is going to call you from the family and friends for anything they want to know. Like bride’s mom can call you when are you leaving from the salon, or if she is not able to find at home she will call you to make her speak to the bride, or maybe by chance you guys missed the jhoomar at home only, then also you need to coordinate with someone to get them to you. There are several things which can happen on a wedding, it’s better to be prepared well in advance and mobile is the only source which can help you communicate things. This is a wedding and things will happen for sure, you never know what you missed to bring with you, even after checking twice, chances are you might forget something back at home, in such a situation you will need to run back and forth, be ready for that and have a car and driver ready all the time to help you run in all this. As your bride is getting ready and you have already asked the photographer to take her candid pictures while getting ready also. Coordinate with him to reach on time and exactly where you people are to get ready. Yes, it’s your friend’s wedding and you want to look your best at the wedding but acknowledge it’s your friends day let her look her best on her day. That way you will have enough time to concentrate on the bride and help her out if she needs something. Most often bridesmaid, while getting ready forget their entire role and get so indulged in themselves that bride has to struggle to get even a small help then. Always remember, it’s your friends day help her out, don’t let her struggle on her special day!! Since the bride is getting ready for the wedding, she won’t be able to take her calls, make sure that you keep her cell with you and screen calls before handing her the phone. Also, she must be wearing gold earrings or chain or maybe a wristwatch which she might have forgotten to remove at home, keep them too with you. If there is an assistant already provided by the make-up artist to give touch-ups in between then it is wonderful but if this is not the case than make sure that you carry a small make-pouch with all the items needed to give her touch-ups in between. Many a times you will need to do that. Keep things handy. To about the arrival of baarat and other details always have a point of contact from the grooms side, it will help you know about the arrival of baarat and accordingly you along with the bride can leave from the salon. Wedding photography is a long process, photographer will take a nice time to deliver them as after taking all the pictures he will edit and process them, so there is a lot of time to get them. You can click selfies and bride’s pictures in the salon and at the wedding with the groom so that you can update the same in your Facebook for others who were not able to make it for the day due to other exigencies. Since the bride will take time to get ready and to control her and your hunger pangs in between it is good you have something to eat in your bag, maybe a chocolate or chips. Keep them in your bag. Well, chocolate is a great idea, it boost up the mind, people feel good after having few bites of chocolate. Don’t let your bride feel nervous or hungry… Have chocolate!! Now is the time to take the bride to the stage for garlanding, accompany her along with the other friends and cousins to the stage. Help her to make a grand entry to the stage, assist her on the stage as well, handing over the garland to her, making her sit on the stage. So many small things to take care on the stage, be there for her. Bride will feel good and comfortable. Most important you know, we all know how important this tradition is of stealing grooms shoes in an Indian wedding, it’s just not a tradition but also adds fun element to the whole wedding, everybody enjoys it. Keep a track of groom’s shoes as grooms side will do everything to save them from your eye. Assign this job to someone who will keep eye on his shoe and the moment he will remove them for ferra or any other ritual, you can take them off the very moment. Be alert! Make sure that you don’t full yourself before your BFF as you need to accompany her at the dinner also. Brides and grooms are taken at the same time to have their dinners and people accompany them for that. You have to be there for her, eat with them, bride will feel comfortable and good in your company, and no doubt she knows the groom very well. It is but natural that every bride feels shy on her wedding, in your company she will feel at ease. Make sure she and groom eat! Indian weddings are full of ceremonies, bride may need to change her outfit for her ferra ceremony, make sure you are around to help her change her wedding lehnga as you know how troublesome it is to change the whole thing. Be there around her, she may need you. Oh, it may sound bizarre but the truth is it is really difficult to pee in that heavy lehnga that is spreads over the heels, help her out in that. Though your BFF has been excited for her wedding and you know that from beginning, but don’t have any notion that she is feeling the same on her wedding also. As wedding is an event which is full of emotions, she must be feeling nervous, maybe weary as she is now realizing that from this day she will stay in some other house and she will leave her parents house now, she must be feeling nostalgic amidst all these ceremonies. Provide her emotional support which she is seeking right now, be by her side, and make sure she doesn’t feel nervous, stressed and completely enjoys her wedding. That’s very important really! 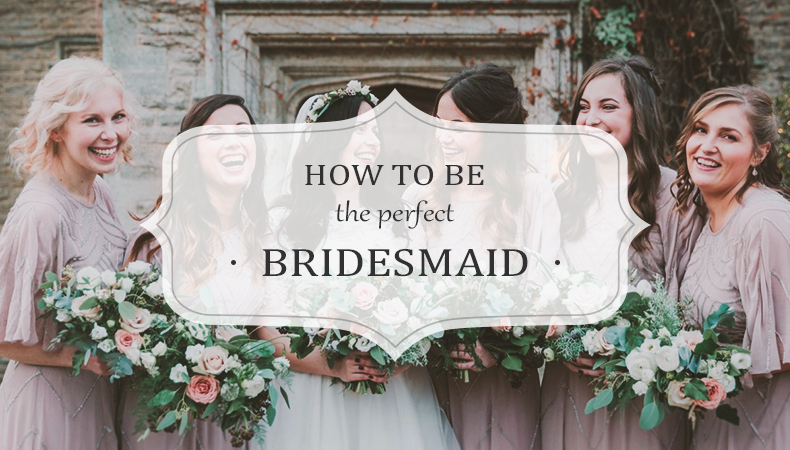 In all the process of being bridesmaid you may feel stressed out as you have been there for the bride from beginning all her wedding planning journey, shopping, searching, finalizing things, trials, re-trails, off course there is too much to take care. Even you might feel more tired than the bride herself. But believe you me you will have all the fun in doing all this, it’s all worth it, the favor will surely come back to you in a good way! 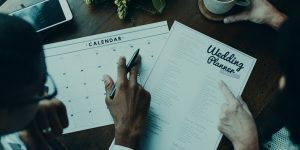 Also, all this will help you to have a great idea about your wedding too, now you have a nice experience of handling wedding related things, you can handle your own wedding perfectly, now you know how to search vendors, finalize them, coordinate with them. Lot of knowledge you must have gained by now.